Manuscript submitted October 5, 2015; resubmitted October 19, 2015; accepted October 25, 2015. AIM: To evaluate critically the current guidelines for foot screening in patients with diabetes, and to examine their relevance in terms of advancement in clinical practice, improvement in technology, and change in socio-cultural structure. 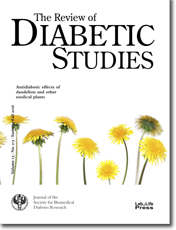 METHODS: A structured literature search was conducted in Pubmed/Medline, CINAHL, Cochrane Register of Controlled Trials, and Google between January 2011 and January 2015 using the keywords '(Diabetes) AND (Foot Screening) AND (Guidelines)'. RESULTS: Ten complete diabetes foot screening guidelines were identified and selected for analysis. Six of them included the full-process guidelines recommended by the International Diabetes Federation. Evaluation of the existing diabetes foot screening guidelines showed substantial variability in terms of different evidence-based methods and grading systems to achieve targets, making it difficult to compare the guidelines. In some of the guidelines, it is unclear how the authors have derived the recommendations, i.e. on which study results they are based, making it difficult for the users to understand them. CONCLUSIONS: Limitations of currently available guidelines and lack of evidence on which the guidelines are based are responsible for the current gaps between guidelines, standard clinical practice, and development of complications. For the development of standard recommendations and everyday clinical practice, it will be necessary to pay more attention to both the limitations of guidelines and the underlying evidence. Diabetes contributes to approximately 80% of the 120,000 non-traumatic amputations performed yearly in the US. While some studies reported that every 20 seconds a limb is amputated somewhere in the world, others highlighted that the implementation of a structured diabetes foot screening program could achieve a 75% reduction in amputation rates . Screening for diabetes involves the identification of asymptomatic individuals who are at high risk of developing the disease or its complications through appropriate screening tests. Guidelines are an essential component of achieving quality in the care of diabetes . These guidelines are devised to define standards for care. They should use evidence-based interventions to provide health care professionals, policy makers, administrators, and people living with diabetes with a set of recommendations for prevention, diagnosis, and management of type 2 diabetes and its complications. A number of studies have demonstrated that patient outcomes improve when evidence-based guideline recommendations are applied in clinical practice . Serious diabetic foot complications can be delayed and even prevented with appropriate, careful, and reliable screening and management standards. Several countries and organizations such as WHO and IDF have made suggestions with the aim of reducing the rate of amputations by up to 50%. It is speculated that implementing a foot screening and protection program for patients at risk of ulceration may reduce both morbidity and cost . However, a diabetic foot screening tool needs to be evidence-based and relevant to the characteristics of the target population . Despite the advancement in technology, biomechanical modeling, and other treatment innovations, the refinement of current foot screening guidelines is paramount to prevent amputations and to preserve limb function in high-risk patients. An explicit assessment of the quality of the available medical evidence. Application of clinical judgment in the care of individual patients. Elicitation and acceptance of patient preferences via shared decision-making. However, most of the current guidelines address only the first of these 3 aspects (quality of evidence). In this regard, it is important to note that effective implementation requires the tailoring of guidelines to the individual patient because "evidence alone is never sufficient to make a clinical decision." . Except a few examples, current guidelines do not address patient preferences or include tools for shared decision-making. Although patient preferences have not historically been at the heart of evidence-based medicine , an emerging consensus is that patient preferences should be included , particularly when evidence is weak or incomplete. The practice of diabetes care is still not optimal, and it is far from being consistent both within and between countries . The high number of different and partly contradictory recommendations and guidelines existing today, and the discrepancies between different organizations and countries, may cause confusion on the part of both practicing health care professionals and organizations which attempt to develop local clinical guidelines. Further confusion in clinical care is generated by the high number of proposed diabetes foot screening methods that may be useful in the identification of high-risk patients . On the other hand, changes in the pattern of disease progression and outcome, environment, and anthropometry, in combination with new developments in technology for both measurement and treatment advocate for more accurate and refined diabetes foot screening guidelines. The aim of this study was to evaluate critically the existing foot screening guidelines, with a view to examining their completeness in terms of advancement in clinical practice, improvements in technology, and changes in socio-cultural structure. This should result in the improvement of existing screening guidelines and eventually save limbs. Whilst analyzing the similarities and differences within various guidelines, this report aims particularly to highlight the deficiencies in guidelines. It should help to identify aspects for which there is sufficient agreement, highlight specific limitations in present guidelines, and address future changes and research which may support the development of more accurate and reliable guidelines. Development of the research question. The proposed question for this study was as follows: Are the currently available foot screening guidelines sufficient to identify reliably patients at risk of amputations? Use of the full-process diabetes foot screening guidelines, as proposed by the IDF, as reference guideline . Search for other guidelines relating to the research question. Search for recent evidence in reviews, meta-analyses, and major research studies. Evaluation of the quality and relevance of the available evidence and guidelines. Comparison of relevant guidelines in relation to their ability in identifying patients at risk and preventing severe diabetes foot complications. Six full-process guidelines were automatically included in the study. These guidelines involved a complete and systematic development of the clinical questions addressed, and provided recommendations supported by scientific and formal evidence, even if at different degrees of quality. After including the six guidelines, searches were performed to identify other possible guidelines and research evidence that are available for diabetes foot screening protocols. All searches were limited to the English language. The following electronic databases were retrieved between January 2011 and January 2015: Pubmed/Medline, CINAHL, Cochrane Register of Controlled Trials, and Google Scholar. The search term ‘(Diabetes) AND (Foot Screening) AND (Guidelines)’ was used, and studies involving adult human participants living with diabetes were pre-selected. Guidelines and research evidence were considered for inclusion if they addressed aspects of diabetes foot screening, management, prevention, and education relating to the foot care of people with type 2 diabetes. The titles and abstracts of the articles containing the guidelines identified by the search strategy were screened by one author (CF) to identify potentially eligible articles. If it was unclear from the title or abstract whether an article should be included, the full-text article was retrieved, and a consensus between the three authors (CF, AG, NC) was induced. Sixty-eight documents were found in Pubmed and 4 documents in Cochrane Register of Controlled Trials. However, when manually searched and evaluated there was no relevant citations amongst these articles which reported diabetes foot screening guidelines. So, these 72 articles were excluded. Four relevant diabetes foot screening guidelines were identified by manual search in Google Scholar. Six full-process guidelines proposed by the IDF (see section 3.1) were included. Thus, ten relevant foot screening guidelines were finally included. Table 1 lists the ten guidelines on foot screening along with the details of the publishing organization, and shows the references to the guidelines and the evidence-grading systems used by the organizations [2, 10-29]. Legend: * Guideline based on 7 systematic reviews created by IWGDF working groups. The reviews are related to different topics: 1) prevention , 2) footwear , 3) PAD diagnosis , 4) PAD prognosis , 5) PAD therapy , 6) infection , and 7) wound healing . Each group applied its own grading system, usually either the GRADE or the SIGN system. See http://iwgdf.org/guidelines-2/systematic-reviews/. Abbreviations: GRADE – Grading of Recommendations Assessment, Development, and Evaluation, PAD – peripheral artery disease. Table 1 also includes references to the grading systems that were used by the guideline providers to rate the underlying evidence on which their recommendations were based. However, it is important to note that there are several rating systems, which use different scales and methods, and that the guideline-providing organizations have applied different systems. Thus, the ratings provided by the organizations are not easily comparable. Once a guideline was assessed as being relevant, the evidence presented was evaluated according to the usual methodological requirements. Two experienced reviewers evaluated the guidelines independently. Data were extracted into evidence tables by one reviewer (CF) and a second reviewer (AG) checked the extracted data. Tables A1-A10 (in the Appendix) include the recommendation for each identified keyword for each organization, and the level of evidence that each guideline is based on, as reported by the organization, if this was available. We first evaluated whether recommendations for the different complications associated with the diabetic foot and relevant screening and care aspects are included in the guidelines. The findings indicate that the guidelines vary in their recommendations for screening, and more importantly, there is little or no evidence for some of the recommendations (see tables and section 4.2). There are some agreements between the guidelines, but also clear differences. In particular, it is obvious that the quality of the underlying evidence used to create the guidelines varies considerably. While some guidelines used controlled trials with or without randomization and/or meta-analyses as evidence, others abstained from providing evidence completely. In this regard, it may be borne in mind that individuals who develop guidelines may employ different methodologies, and that the creation of a guideline may be influenced by the aims, practices, and possibly ideas of the organization or professional body that has commissioned it. These are factors that may be responsible for the present differences. Another concern relates to the validity of the grading systems applied. The use of different grading systems, the disagreement between the guidelines regarding the grading of the evidence, and the different methods and scales of the grading systems make it difficult to compare the guidelines and to understand the recommendations . The Scottish Intercollegiate Guidelines Network (SIGN) rated evidence from 1++ (least likely to be biased) to 4 (greatest potential for bias), using a scale of 8 levels. Studies were assessed on the basis of critically appraisal checklists. The levels of evidence used by the Australian National Health and Medical Research Council (ANHMRC) were arranged so that they correspond to the methods and designs of the clinical studies. Peripheral neuropathy. Recommendations for the screening for peripheral neuropathy were included in all 10 foot screening guideline documents, as illustrated in Table A1. Recommended screening tests included the 10 g monofilament test in combination with vibration perception testing using a tuning fork or biothesiometer. However, although all guidelines highlighted the importance of screening for peripheral neuropathy to identify the insensate foot, the level of evidence, as assessed by the organizations themselves, supporting this recommendation differed considerably. Whilst some organizations such as the American Diabetes Association (ADA) graded this recommendation as grade B level of evidence , other organizations such as the Australian National Health and Medical Research Council (NHMRC) attached grades C or D to the same recommendation, advocating for caution when applying these recommendations . This inconsistency is irritating since the aim of evidence-based guidelines is to improve the value of healthcare by recommending the best screening and treatment modalities to facilitate decision-making and improve care . Inconsistencies among systems for grading the quality of evidence and the strength of recommendations contribute to the degree of non-transparency, and reduce their potential to facilitate critical assessment and improved application. Peripheral vascular disease. A guideline for the screening for peripheral vascular disease was also included in all 10 foot screening guideline documents, as shown in Table A2. All guidelines emphasized the importance of palpation of foot pulses, but the evidence grading for this recommendation (provided by the organizations themselves) is poor in some guidelines. Some organizations such as the ADA assigned only grade C or D level of evidence , meaning that the supportive evidence is derived from poorly controlled or uncontrolled studies only, while other organizations such as the National Institute for Health and Care Excellence (NICE) gave an A rating , which means that the evidence is based directly on at least one RCT or a meta-analysis of RCTs. Clinicians need to be attentive to the validity of guidelines that claim to be evidence-based since some guidelines may contain information that has not been critically assessed for evidence quality . Table A2 shows that some guidelines rely on expert opinion or clinical experience only (e.g. those from the Australian NHMRC, the Canadian Diabetes Association, the Institute for Clinical Systems Improvement, and the ADA) as randomized controlled trials were not available or unreliable because of the nature of the research conducted to date. Guidelines that are based on either poorly controlled or non-controlled studies suggest that these recommendations should be adopted with caution due to the possibility of arterial calcification, as shown in Table A2 (and discussed in more detail in the next paragraph). Other guideline providers, including the IDF and the New Zealand Guidelines Group, refer to evidence, but it is unclear how the recommendations were derived. Due to the deficit of information on a reliable method to screen for PAD in the high-risk foot new structured studies and randomized control trials should be conducted to create sufficient evidence. Ankle-brachial pressure index (ABPI) is recommended as an additional test for the diagnosis of peripheral arterial disease in some of the guidelines analyzed. However, the evidence for this recommendation is controversial. A recent clinical study conducted by our group demonstrated the limitations of ABPI as a diagnosis tool in peripheral arterial disease (PAD) and patients with diabetes mellitus . ABPI thresholds of less than 0.9 and more than 1.3 are highly suggestive of PAD. However, when there is concomitant clinical peripheral neuropathy or a high risk of arterial calcification (Monckberg’s sclerosis), the efficiency of ABPI is limited because a falsely elevated ABPI may be generated. Based on these new findings, it is recommended that peripheral arterial disease in people with diabetes should be assessed using both ABPI and Doppler waveform in combination. When the findings from both test modalities do not correlate, then subjects should be monitored or the examination continued. Additional physiological testing could include toe pressure and toe brachial pressure indices to determine whether PAD is actually present. Despite the evidence that Doppler waveform is an important additional test modality for the diagnosis of PAD as ABPI may give false values in calcified arteries, the 10 guidelines analyzed do not refer to Doppler waveform analysis. Inspection and provision of footwear. Recommendations for the inspection and provision of footwear were included in all 10 foot screening guideline documents, as illustrated in Table A3. However, the evidence on the importance of inspection and provision of footwear in the guidelines varies considerably. This issue has also been analyzed by Healy et al., indicating that no research has examined the effectiveness of footwear in preventing ulceration to date . The authors also reported conflicting findings on the effectiveness of footwear interventions to prevent re-ulceration, and recommended that further studies were performed to explore the type of therapeutic footwear required to reduce ulceration in patients with neuropathy and deformities. It is striking that only 1 of the 10 guidelines analyzed included acceptable evidence on the effectiveness of footwear interventions to prevent ulceration (CDA) . Two cited rather old studies from the 90s only (NICE and SIGN) [4, 16], 4 referred to other guidelines or a single review article only (NHMRC, ADA, IWGDF, IDF) [10, 19-21, 29], and 3 included no evidence at all (DDG, ICFSI, NZSSD) [14, 17]. This shows that the guidelines lack sufficient evidence. Given this situation, it is impossible to identify an appropriate recommendation that warrants adoption in clinical practice. It is necessary that more adequately powered research is conducted on the inspection and provision of therapeutic footwear to safeguard the high-risk foot. Given the advances in material science and measurement techniques, such studies could employ quantitative outcome measures that are reliable and repeatable. Limited joint mobility and foot deformations. Recommendations for the inspection of limited joint mobility and foot deformities in patients living with diabetes did not form part of the screening guidelines included in all the 10 foot screening guideline documents (Table A4). Studies have reported that foot morphology and foot deformations have been associated with ulcer development . It is known that even slight pressure over a fixed bony deformation such as a prominent metatarsal head or a hammer toe can lead to necrosis and ulceration of the skin. However, the clinical guidelines lack sufficient evidence on these problems and provide poor information. Those guidelines that do include a recommendation for the evaluation of existing foot deformations support their recommendations with by low-quality evidence that is not based on well-defined or well-conducted studies (i.e. poorly controlled or uncontrolled studies, case reports, clinical experience, or expert opinion). There has been technological and scientific progress relating to the clinical assessment and intervention of foot deformities, including wearable sensors and advanced materials with an option of 3D printing, which should be reflected in the guidelines. However, such changes in guidelines can happen only if enough clinically acceptable evidence through structured investigations is available. We recommend that potential guidelines should compile and make use of existing experimental evidence rather than anecdotal and opinion-based evidence. The current state of research to date in this area does not allow robust recommendations to be made for the screening of limited joint mobility, which is due to the lack of randomized controlled trials. Well-designed studies need to be carried out to provide strong evidence in this area. Foot morphology and foot deformity have been previously identified in other studies as potential risks of ulceration . Thus, healthcare professionals need to inspect and evaluate these deformations systematically both before and after ulcers occur to prevent recurrence, especially in countries with a high rate of amputations. Such systematical inspection is possible only if reliable guidelines are available, and this in turn requires the performance of well-designed studies to provide the necessary evidence as basis for optimal healthcare. Studies highlight the importance of increased attention on part of the clinical personnel coupled with the intensification of existing screening efforts and introduction of reliable clinical guidelines including the biomechanical assessment of the feet . These efforts could reduce the incidence of diabetic foot complications, but we are still far from realizing them. This problem is reflected by the existing guidelines and the limited or lacking evidence needed to justify them. As shown in Table A4, most guidelines are based on poorly controlled or non-controlled studies. For example, the Australian NHMRC graded the evidence as C, which is described as evidence that provides some support for the recommendation, but not enough to apply the recommendation without further observation and caution. Patient foot care education. A recommendation advocating the importance of patient foot care education for patients living with diabetes as part of the screening guidelines was included in all 10 foot screening guideline documents, as shown in Table A5. Although all guidelines emphasize the importance of foot care education, they fail to identify the best methodological approach, making it difficult for guideline users to adopt this recommendation. Previous studies have reported conflicting results regarding outcomes of diabetes education programs . It is known that improving knowledge alone is not sufficient to improve adherence to treatment and care regimens that involve behavioral change, although a few studies have shown that diabetes education programs produce statistically significant health benefits, at least in the short-term. Patient education activities are currently implemented in various ways in different countries. Most countries use didactic education primarily, but remain at an experimental stage as far as the different ways of developing patient education are concerned . Diabetes education is often prescriptive, offered on an ad hoc basis, and is not continuous so that the patient is not provided with new knowledge on a timely basis. It is even more problematic that current education programs are not based on scientifically proven educational or behavioral principles that may result in better outcomes . These problems limit the effectiveness of such programs considerably. Therefore, well-conducted, generalizable RCTs are necessary to explore new psychosocial intervention strategies in diabetes care for preventing diabetic foot ulcerations and amputations. A general reconsideration of the traditional biomedical model of care is necessary to develop a biopsychosocial model. This may be the first step in achieving a positive change. Other recommendations included in some of the guidelines advocated the "importance of self-monitoring and inspection of feet" and "the importance of having a multi-disciplinary foot care service". However, the organizations provided these two important recommendations by using different levels of evidence. While NICE attached grade 'A' level of evidence to their recommendation, and provided evidence directly based on meta-analysis of RCTs , the Australian NHMRC based their recommendation on expert opinion only . This discrepancy is mirrored by the inconsistency of the evidence on educational programs for the prevention of ulcer recurrence and amputation, suggesting that more research is necessary on this issue. Frequency of assessment/screening. A recommendation regarding the frequency of assessing and screening patients living with diabetes by both patients and healthcare professionals as part of the screening guidelines was included in all 10 foot screening guideline documents, as shown in Table A6. Although all guidelines analyzed uniformly emphasized the importance and frequency of assessing and screening people living with type 2 diabetes, the evidence provided in support of this recommendation was of poor quality. More attention should be paid to the limitations of the guidelines and underlying evidence from which they were devised as this might be the reason for the current gap between recommendation and practice. An evidence-grading system based on relevant populations, patient-oriented outcomes, and shared decision-making could improve physician information and patient guideline adherence, and thus improve diabetes foot screening outcomes . Furthermore, new structured research with appropriately designed trials needs to be conducted to remedy the lack of evidence. These efforts could be of great benefit to the increasing number of people with and at risk of type 2 diabetes and its complications. The aim of this study was to evaluate critically the guidelines currently adopted by different organizations to facilitate foot screening in patients with diabetes, with a view to providing ways of improving existing screening methods, which could save limbs. Given the dynamic nature of the research into this topic, the WHO emphasized the need for new evidence from randomized controlled trials and observational studies to evaluate and improve the screening for diabetes . However, to date, such new research and screening efforts have not been achieved in the area of the diabetic foot, in contrast to screening for several other chronic conditions, e.g. various types of cancers. The overall goal of screening guidelines is to prevent diabetic foot complications or at least to halt or decelerate their development. This requires that the feet diabetes patients are inspected regularly and treated by skilled healthcare professionals. However, our evaluation of the existing diabetes foot screening guidelines revealed huge variability in the recommended methods and conflicting or missing evidence on which the recommendations were based. Also, the guidelines used different grading systems to grade their recommendations, making it difficult to compare the guidelines. It is inappropriate to publish recommendations that are not based on any scientific evidence, which is the case with some of the guidelines analyzed, as discussed above. Diabetic foot complications are increasing at alarming rates. Therefore, looking at endocrine functions and treatment procedures alone is not sufficient to stop the trend. The literature advocates for more prevention . However, preventive measures are sometimes impractical and corresponding recommendations lack robust evidence [40, 41]. Since the 1970s, different organizations have employed various systems to grade the quality (level) of evidence and the strength of their recommendations. Unfortunately, organizations use different systems to grade evidence and recommendations. The same evidence and recommendation could be graded as II-2, B, C+, 1, "strong evidence", or "strongly recommended" depending on the system used. This is confusing and impedes effective communication . Furthermore, it has been reported that most of the currently used approaches to grade evidence and the strength of recommendations have important shortcomings. This diversity makes comparisons and syntheses of findings difficult. Our findings show that guidelines are inconsistent in how they rate quality of evidence and grade strength of recommendations. As a result, guideline users may be irritated and find it difficult to understand the messages that rating systems are trying to communicate. Evidence rating systems are included in most foot screening guidelines. They aim to establish a hierarchy of evidence that usually acknowledges the primacy of randomized controlled trials, followed by observational studies, and expert opinion when sufficiently sound evidence on a particular issue is not available. However, some guidelines contain considerable material that has not been critically assessed for evidence quality or reference to evidence has not been provided by the guideline publishers. Such guidelines rely on expert consensus or non-randomized clinical experience only (see Tables A1-A10). Most of these guidelines have not used rigorously the guideline methodologies for identification and analysis of evidence. Those which lack sufficient evidence behind their recommendations should be revised thoroughly by adjusting the recommendations and using the latest and most robust research findings. New evidence should be created where recommendations are needed to achieve better clinical outcomes (such as reduction in ulcerations and amputations, and improved quality of life), but findings from well-conducted studies are missing (such as for screening for neuropathy and peripheral artery disease, inspection and provision of footwear, and inspection of foot deformations). The revision of guidelines should be carried out in such a way that inconsistencies are reduced and new evidence is included, while the evidence should be carefully analyzed regarding study type, quality, and relevance of the findings both clinical and for the target population . It is therefore suggested that more attention should be paid to the limitations of these guidelines and the underlying evidence on the basis of which they were devised as this may be one reason for the current gap between recommendation and standard practice. In this regard, special attention should be given to the evaluation of foot biomechanics, training of healthcare professionals, self-monitoring, and the importance of a multidisciplinary team approach, as highlighted in Tables A7-A10, since these aspects of diabetes foot screening were not included in all 10 guidelines analyzed in this article. With advances in technology, modeling, and other treatment innovations, refining current foot screening guidelines could preserve functional limbs in high-risk patients. This study highlighted that the current guidelines lack evidence in one or more of their recommendations. As the global prevalence of diabetes is increasing because of population growth, ageing of populations, and lifestyle changes associated with urbanization screening guidelines need to include the latest advances in clinical management. Proper screening and management in the prevention of diabetes complications is essential. Whilst the recommendations included in the guidelines are mostly similar, there are substantial differences in the grading of these recommendations. Although this may not impact policy development and implementation of recommendations in a specific setting, it is necessary to include current developments in science and information technology when revising the guidelines. It should be acknowledged that there could be practical reasons for the differences in the guidelines for screening procedures, depending on what is possible and available in a particular country. Based on the results, future research in diabetes foot screening should also be oriented to the needs of physicians and patients to improve healthcare. Furthermore, large-scale, randomized trials are needed to demonstrate convincingly the benefit of various foot screening recommendations and improve outcomes. Detailed information regarding the sources of the evidence used in each guideline should be clearly reported within the guidelines. This will enable new guideline developers to refer to the work performed and published by others as 'source' guidelines, and to optimize and standardize diabetes foot screening guidelines. It will also be important that guidelines are more explicit and accurate so that recommendations are addressed clearly to facilitate adoption, adherence, and improve outcomes. When formulating screening guidelines, the aim of any screening policy should be clearly stated. Epidemiological considerations, issues of health system capacity, economic considerations, the assessment of tests taking into account sensitivity and specificity, competing priorities, and ethical and political considerations need to be considered and clearly stated . Evidence needs to be reviewed on a regularly basis as new evidence accumulates. A paradigm shift on how to screen for risk factors in the high-risk population using high-quality evidence is urgently needed should the risks of foot ulceration and its devastating consequences be reduced. Legend: GRADE - Grading of Recommendations Assessment, Development, and Evaluation, QUADAS – Quality Assessment Tool for Diagnostic Accuracy Studies. Legend: ABI – ankle-brachial index, ABPI – ankle brachial pressure index, PAD – peripheral artery disease, PPG – photoplethysmography, TCPO2 – transcutaneous oxygen. Legend: ABPI – ankle brachial pressure index. LOPS – loss of protective sensation. PVD – peripheral vascular disease.